Age of Ambition Chasing Fortune, Truth, and Faith in the New China | Free eBooks Download - EBOOKEE! Posted on 2018-10-17, by nokia241186. 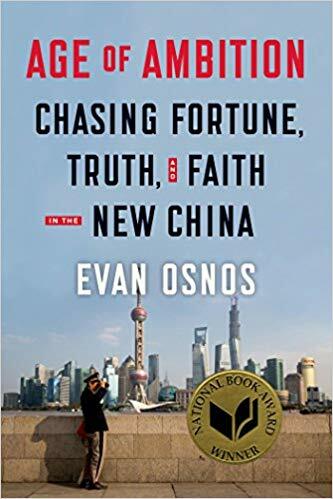 Evan Osnos, "Age of Ambition: Chasing Fortune, Truth, and Faith in the New China"
A young army captain who risked execution to swim from free-market Taiwan to Communist China. A barber who made $150 million in the gambling dens of Macau. The richest woman in China, a recycling tycoon known as the 'Wastepaper Queen'. Age of Ambition describes some of the billion individual lives that make up China's story - one that unfolds on remote farms, in glittering mansions, and in the halls of power of the world's largest authoritarian regime. Together they describe the defining clash taking place today: between the individual and the Communist Party's struggle to retain control. Here is a China infused with a sense of boundless possibility and teeming romance. Yet it is also riven by contradictions. It is the world's largest buyer of Rolls Royces and Ferraris yet the word 'luxury' is banned from billboards. It has more Christians than members of the Communist Party. And why does a government that has lifted more people from poverty than any other so strictly restrain freedom of expression? Based on years of research, Age of Ambition is a stunning narrative that reveals China as we have never understood it before. No comments for "Age of Ambition Chasing Fortune, Truth, and Faith in the New China".